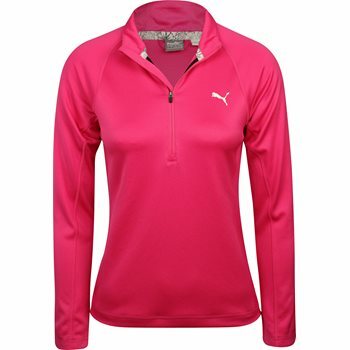 The Puma Youth ¼ Zip pullover is perfect for cool days on or off the golf course. It features a ¼ zip placket for closure adjustability and easy on and off wear. The double knit fabric provides warmth and Dry Cell moisture wicking draws sweat away from the skin to keep it dry when sweating occurs. The pullover is machine washable, resistant to wrinkles, and will not shrink.